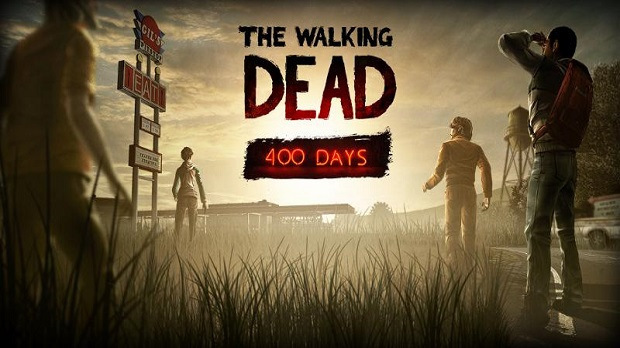 If you’re eager for some more of The Walking Dead before Season 2 comes out, 400 Days looks like it’s coming sooner than you think. Like an unexpected walker, IGN have unexpectedly revealed the launch dates for the upcoming DLC. 400 Days will be released on a myriad of platforms this week. Starting tomorrow, July 2, on US PSN followed by a PC release on July 3, an Xbox Live release on Friday, July 5 and iOS and European PSN next Wednesday and Thursday, July 10 and 11. This new DLC puts you in the shoes of five unique characters, who intertwine at a run down gas station. You’ll be able to play any of the stories in any order instead of following an episodic route. No price has been announced but it’s most likely the same episodic price of the original series at $5/400 MSP. It’ll also be releasing on the PlayStation Vita this summer and be packaged in with the first season of The Walking Dead in a new Vita bundle this summer. This’ll be a nice little side-dish to the upcoming Season 2, starting this fall and Telltale have another game in the works for the summer with their Fables-based The Wolf Among Us.